Today is another photo shoot and video shoot day! 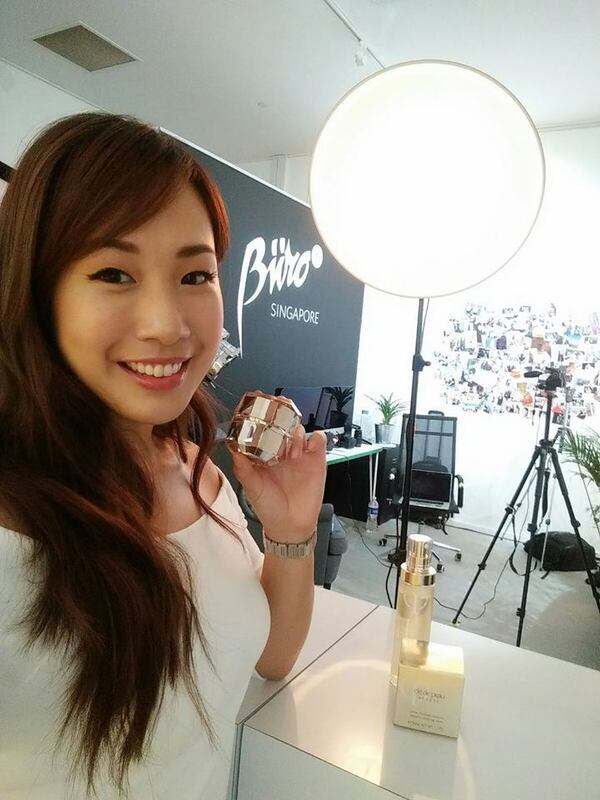 After trying out a new range of skincare products by Cle de Peau Beaute, I'm at Büro 24/7 Singapore's pop-up store to discuss my skincare routine and quirks (For example, "What's the most extreme thing you've done in the name of beauty?" they asked). I may be known for the food/drink/travel category, but I'm grateful I have the opportunity to eventually work with brands in other things that I love as well: beauty, fitness, sport, health. A friend of mine wants to do all the things she loves too, but doesn't understand where to start. She's musically gifted, and I suggested that she focus on her music first, instead of spreading herself thin and trying to conquer everything at once. Let the world see the dedication to her craft. It's important to take one step at a time, to work hard and be patient. Sometimes trying to do everything all at once ends up paralysing you instead of moving you forward.